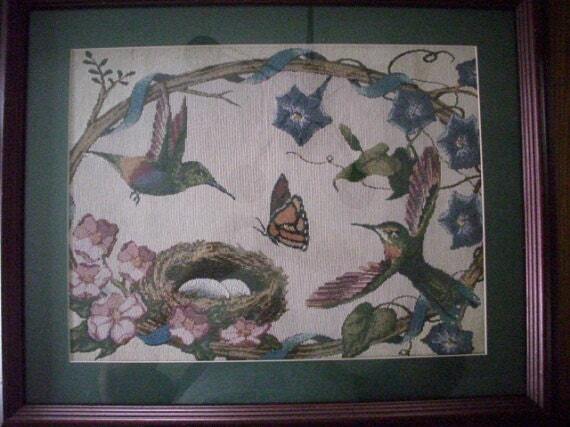 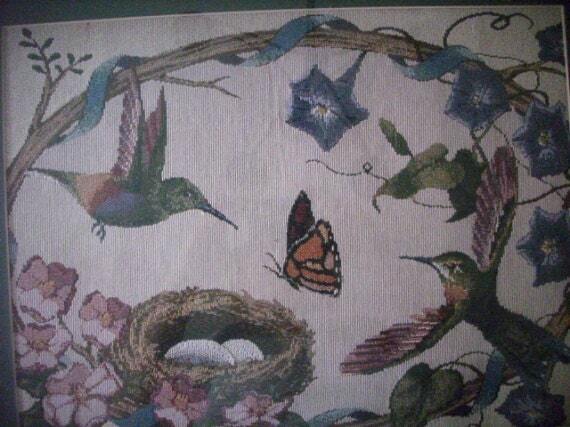 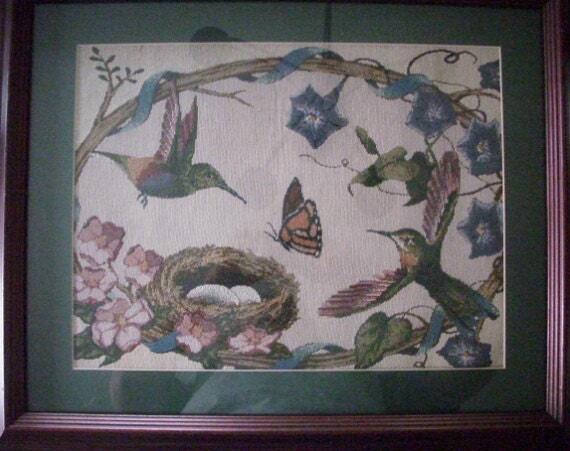 This large needlework tapestry piece features two hummingbirds and a butterfly circling a nest of eggs and is showcases a beautiful variety of colors. 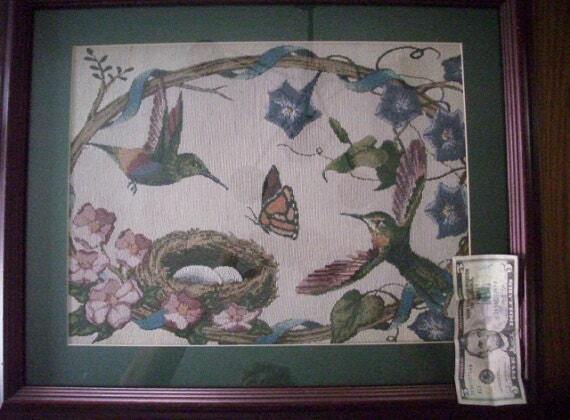 The scene is framed by a floral design at the corners. 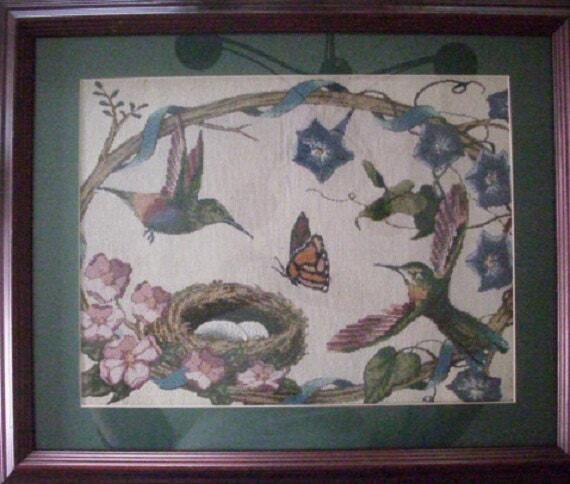 There is a dark green mat that frames the scene which is showcased under glass with a wood frame.